Museums across the North of England have joined together to show off the 100 objects which best illustrate the region. This writing desk, complete with original contents, is a symbol of the creative force that was Emily Brontë. It is filled with treasures and relics commemorating Emily’s literary career: a magpie hoard of pen nibs, sealing wax, five newspaper reviews of ‘Wuthering Heights’ and a letter offering the only suggestion that she was working on a second novel. Contemporary accounts tell us that she and her sisters wrote at their desks in the Parsonage dining room each evening. The same site has another, more general article on the event. What are the upcoming highlights? It depends on your interests, of course, but there really is something to attract everybody. The Christian Science Monitor reviews A View of the Empire at Sunset by Caryl Phillips. In “A View of the Empire at Sunset,” the latest novel by Caryl Phillips, the writer returns to the themes of racism and colonialism through an imagined account of the life of author Jean Rhys. Phillips draws upon the events of Rhys’s real life, using it as a scaffold upon which to write his tale, to explore a sense of “otherness” and isolation amidst shifting power struggles. Rhys, best known for her book “Wide Sargasso Sea,” lived one of those lives that embodied the arc of the 20th century. She came of age during the societal strictures of the Edwardian Era and the fading influence of the British Empire and persisted (yes, a deliberate word choice) through the feminist movement and the social upheaval of the late 1960s. Phillips borrows one of Rhys’s own techniques. Readers might recall that, in “Wide Sargasso Sea,” Rhys also embellished a tale with an imagined life. 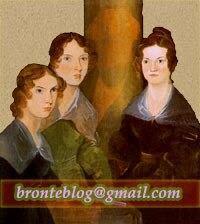 A prequel to Charlotte Bronte’s novel “Jane Eyre,” she crafted a backstory for Mr. Rochester’s wife, the madwoman confined to the attic. She illuminates the woman’s experiences, giving her a voice and a perspective that counters the original patriarchal narrative. Wide Sargasso Sea is also mentioned in a review of The Recovering: Intoxication and its Aftermath by Leslie Jamison in The Spectator. On the Brussels Brontë Blog, Eric Ruijssenaars looks at several places in Brussels at the time of the Brontës' stay in the city.